In this case, history. Art. And intention. At seven stories, T3 is the tallest all-timber building to be built in the US in over a century. So when RSP’s environmental graphic design team was engaged to create custom graphics for the building, we rolled up our sleeves and put on the white gloves. Literally. A visit with our client to the Minnesota Historical Society revealed the perfect inspiration: a dusty glass photo negative from 1922. 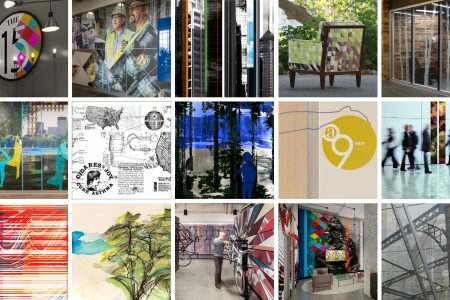 We scanned, re-drew, designed and collaged the forest imagery from the negative, transforming the original 8” x 10” image into a large-scale two-story installation. 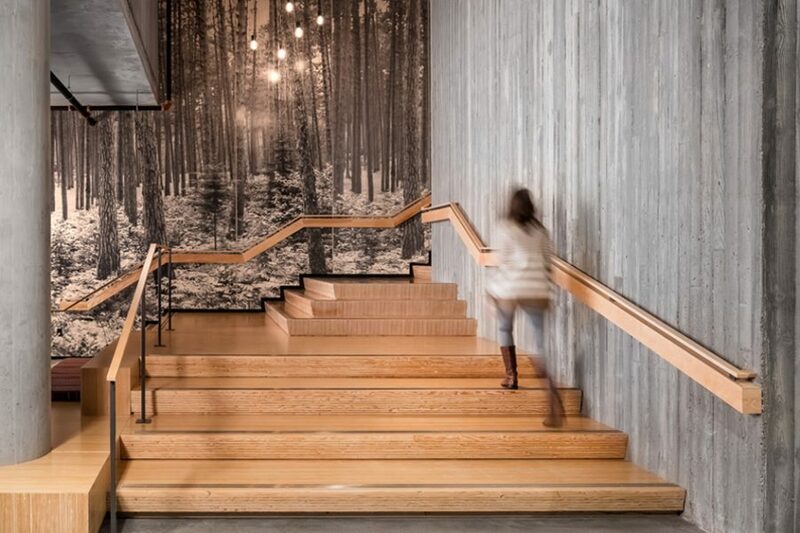 Visitors can “climb” through the forest canopy as they ascend the stairs from the lobby to the second floor. 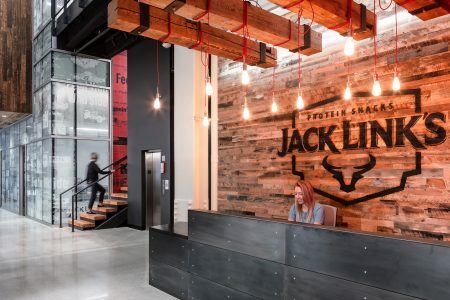 To add depth and detail, we designed the image to be printed directly onto wooden wall panels, achieving a custom finish and capturing the hand-hewn aesthetic of the building. 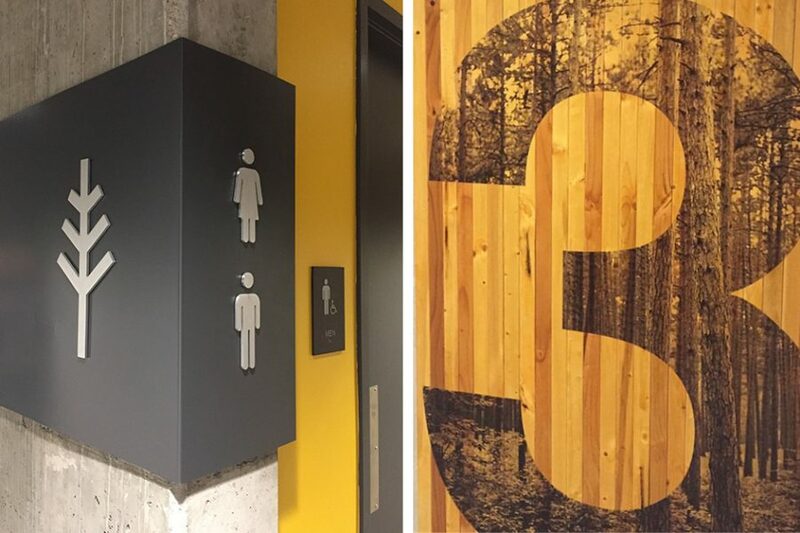 Multi-faceted wayfinding elements, such as custom floor identifiers and building signage, connect multiple tenants and floors together. 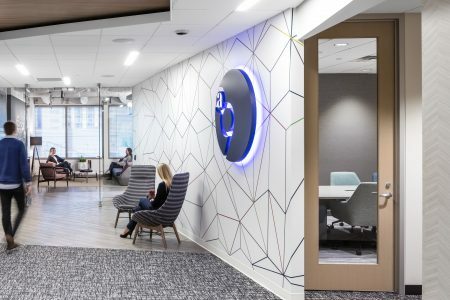 Additional graphic installations are sprinkled throughout the shared amenity spaces and elevator lobby, complementing the building’s custom furniture and finishes. 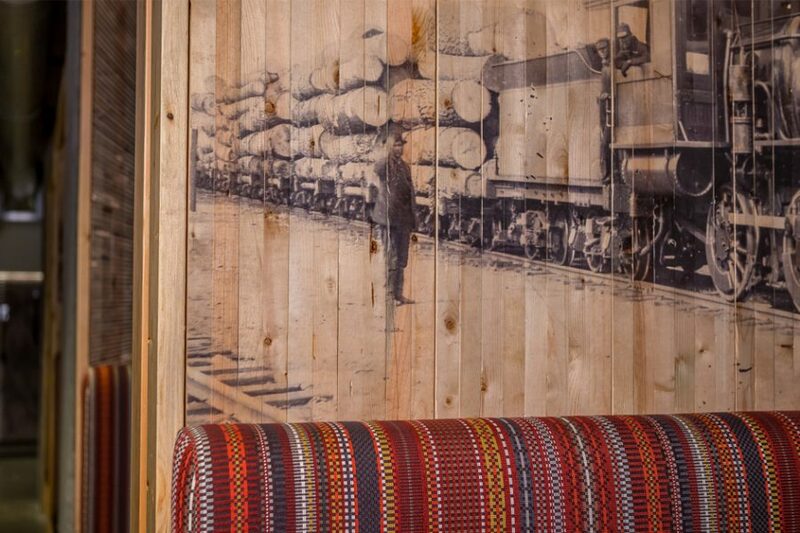 In collaboration booths, for example, images of historic lumber milling and railroad transit were added to the wood walls. 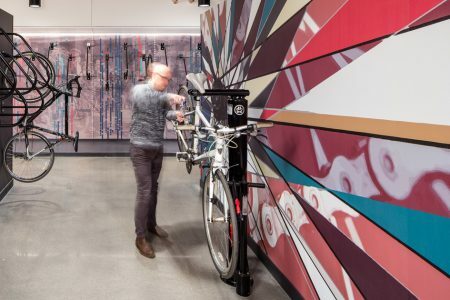 Large-scale murals wrapping into the fitness area also provide visual continuity when transitioning from work to wellness space. 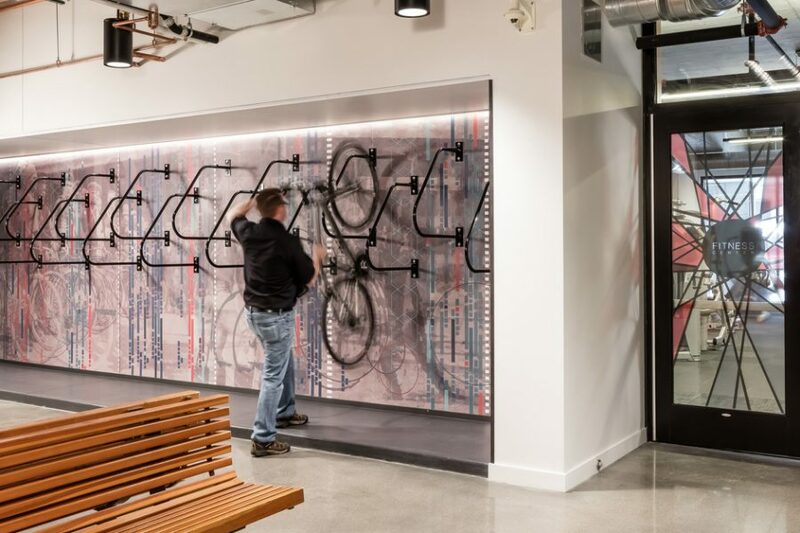 Layers of antique cycling images and contextual map details of the nearby Greenway bike trail are woven into the fitness room graphics – an intentional nod to the past that captures the vitality of cycling and promotes workplace wellness. With custom environmental graphic installations, each designed surface tells a different story. 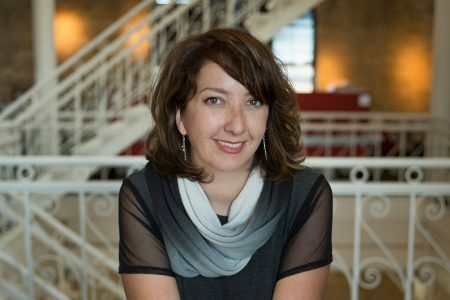 They connect people to place, provide a sense of identity and, most importantly, immerse visitors in a distinctive experience. Adding personality through environmental graphic design.